There are a lot of “rules” about eating sweets – avoid indulging before a meal, don’t eat too many, and, if you must snack, choose fruits and vegetables over desserts. Nikki Azzara ’10, founder of P.S. Snacks, is out to break all those rules with her plant-based, nutrient-dense, ready-to-eat cookie doughs. The first ingredient in all of P.S. 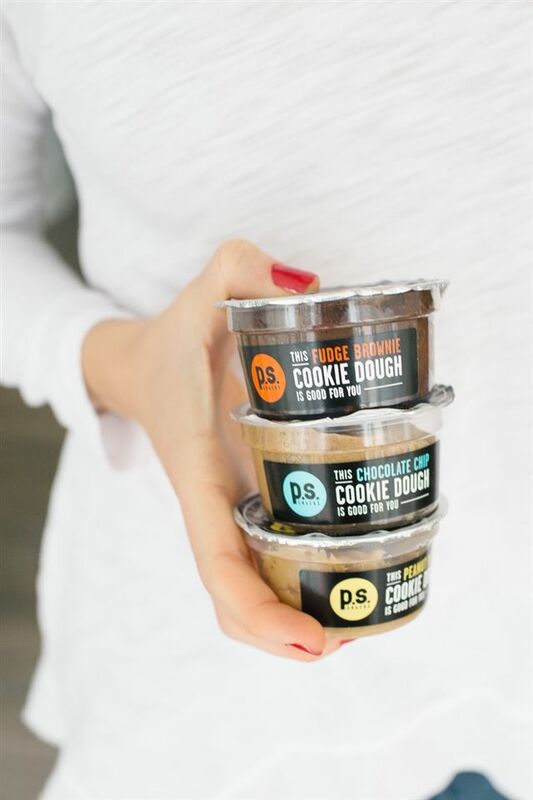 Snacks cookie doughs are vegetables – chickpeas in the chocolate chip cookie dough, garbanzo beans in the peanut butter flavor, and black beans in the fudge brownie. Azzara concocted these recipes in her tiny dorm kitchen at Wake Forest University, a culinary experiment she began after learning she was gluten-intolerant. 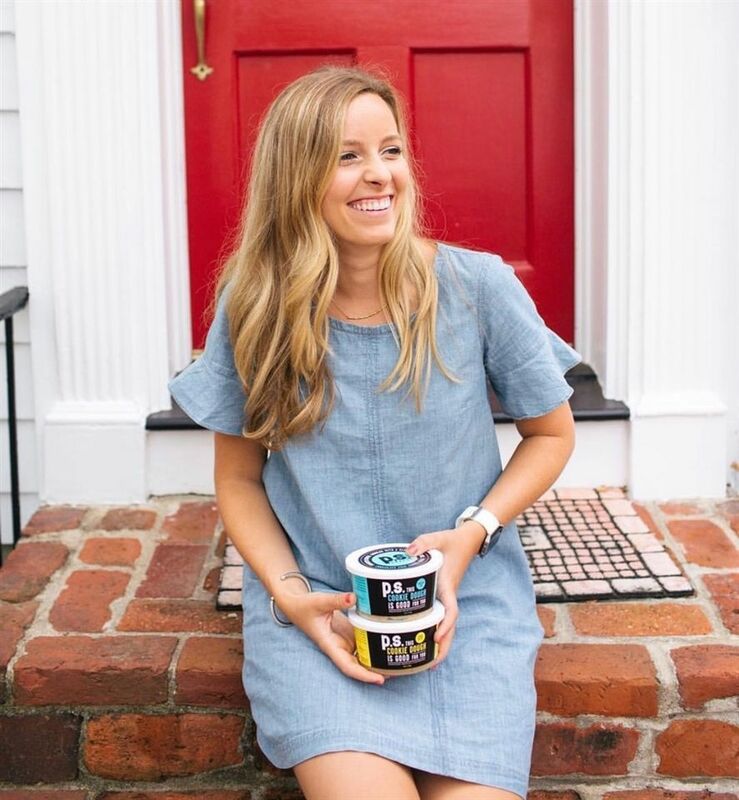 She started a blog, Slender Seven, where she shared her gluten-free recipes, and the project inspired her to start a business in the food industry. “When I graduated, I saw the opportunity to turn the food blog into a packaged good, and that’s what gave me the courage and the motivation to jump on the opportunity and do something I was passionate about,” she said. Azzara saw an opening in the market for her offering – an “innovative, modern take on what was once a guilty pleasure” – and launched her first products under the Slender Seven label in 2014. Now rebranded as P.S. Snacks, Azzara’s three cookie doughs can be found in the refrigerated aisle of organic grocery stores all along the East Coast. “People are gravitating toward options that are fresher and better for you, with minimal ingredients, which is really exciting and timely for my brand,” Azzara said.